The famous Indian tennis star Sania Mirza is not only known for her tennis, but also her penchant for illustrious t-shirt quotes. For instance, she once wore a tee saying: “Look At My Game Also”. Apart from using quotes, they are many other ways in which a t-shirt can be decorated to show off your attitude. Such embellishments express your personality without hurting others. Kids and the younger generation are known to love decorating their t- shirts. For instance, when cricket matches are going on, you can see their tees reflecting the spirit of the game. Even otherwise, designing and decorating a t-shirt is a fantastic activity to undertake on your own. To help you in the task of decorating your own t-shirt, we have listed a number of ideas in the lines below. You can have a lot of fun with these t-shirt ideas, some easy and some tricky. Try them all or go with one of them. Be creative, innovative, and try to bring across a reflection of your personality. Happy decorating! 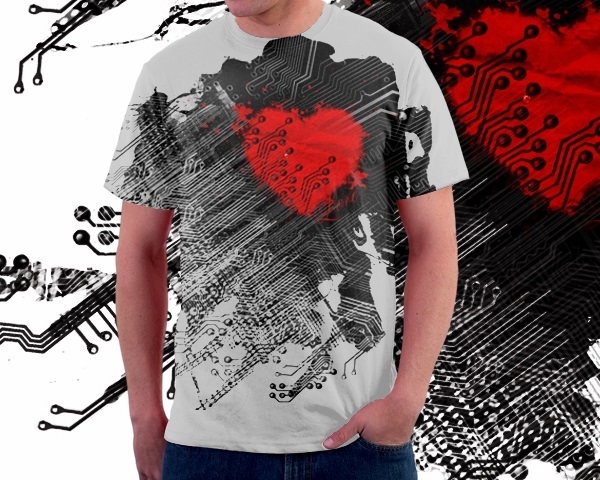 Designing and decorating t -shirts is a fantastic activity that you can undertake at home. To start with, you can write one or more fun quotes on your shirt. Use letter fabrics and tube fabric paints for the purpose. You can also use tube fabric paints for just outlining the shapes and pictures and give them a 3D effect. For this, you will require a t-shirt, cotton strings, dye colors, wooden spoons and plastic tubs. First, preshrink your shirt by washing and drying up. Mix the dyes as instructed on the packets, using different containers and spoons for mixing colors. Get the shirt wet and squeeze away excess water. Make designs on the t-shirt by wrapping the strings around. Dip the shirts in one of the dye tubs and squeeze away the extra color. When you have finished dyeing a type of design, remove the knots, strings, or threads. Next, rinse the t-shirt till the water runs clear and hang up for drying. Do not dip the t-shirt in different colors or you will end up graying it. Make designs of your own by tying it up in various styles, like the rope or the marble style. This is fun and an easy decorating activity for children. it works best on a t-shirt that is a mix of cotton and polyester blend. You will require washable crayons, an iron, a coloring book, tracing paper, fabric paints or puffy paints and a t-shirt, for the purpose. Trace the picture on the t-shirt and make the lines permanent, by using fabric paints. Iron the shirt inside out, when the black paint has dried. When the t-shirt cools down, your child can color in the traced picture with washable crayons. The colors are not permanent and can be washed away. You can use different colors for the picture. Do not wash the t-shirt with other clothes, as the colors can get onto other laundry. They are fun to make, but a little tricky. You will require fabric paints, paper plates, a cardboard, and a pre-shrunk t-shirt. First, squeeze out some paint on the paper plate. Place the cardboard between the t-shirt. Dip your hands or your kid’s hands in the paint, with fingers wide open. Use paper towel to remove excess paint. Place the hands on the t-shirts. Use your imagination and create your own design. You can even write dates and names on the t-shirt. You will need contact paper, scissors, newspaper or cardboard, pencil, sponges, fabric paint, and paper plates. The first step is to build the stencils. First, cut the contact paper into six inches of circles or squares. You can draw any size of your choice. Draw some shapes and letters on the contact paper with the pencil. Cut the center part of the design and leave the outer edge as stencil. Place a thick layer of newspapers or cardboards between the front and back of the t-shirt. Now, you are ready to sponge the designs on the t-shirt. Pour some fabric paint on the paper plates and get ready to sponge. Peel the back of the stencil and put it on your t-shirt, with the sticky side down. Fill the stencils with paint. Peel off the stencil when the paint is set, but not dry yet. Repeat this process with different colors, with different stencils. This style does not include paint, rather beads are used for decoration. You will require beads in different colors, a nylon string, and a needle. Put a bead on the string and tie it on one end. You can make a pattern of 3-4 beads and stitch the string right around the corner of the collar. You will have to repeat this process for around seven-eight times. You can also form this embellishment on the sleeves.